Welcome to another minimalism post! Keeping in line with my commitment to be more thorough and provide you with higher quality posts as opposed to a great quantity of posts, we're going to cover a lot so get ready. 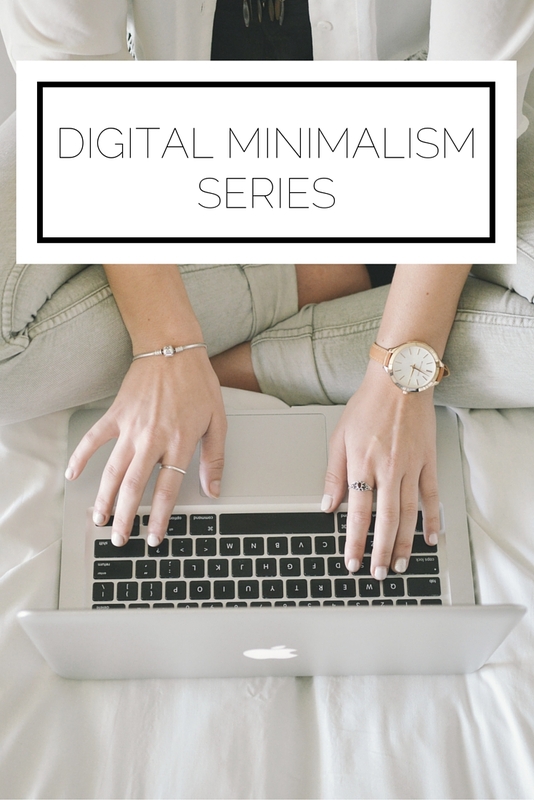 I've decided to divide this into a series in order to give you the most comprehensive look on how to manage your digital life from a minimalist perspective. Recently I posted about social media minimalism, so we won't go into that, but what I will cover in this series is how to be a minimalist when it comes to digital photographs, files, phone/apps, email, reading lists (i.e. the millions of bookmarks everyone seems to have! ), calendar, and task lists. I've touched upon most of these topics in previous posts, but from the eyes of an organizer as opposed to a minimalist. Now, however, we're going to figure out how to reduce the time and energy you dedicate to these areas and how to maintain only what brings you happiness as opposed to simply filing everything away. More and more our digital lives are becoming synonymous with our ACTUAL lives. We spend countless hours in front of a screen and can hence accumulate a lot of digital clutter. Going online should be a source of pleasure and enjoyment; after all, we get to catch up on the activities of our friends and family, get great ideas and information from people all around the world, and consume the content created by our favorite artists. What I've noticed is that instead of feeling rejuvenated and inspired during and after "digital time," I've felt drained and overwhelmed. With such a vast internet to explore and the ability to save and compile so much of our own documents and information it is easy to loose sight of why we even bother with technology in the first place: to gain access to useful sites, increase productivity, and have fun! By approaching your digital life with the intention of focusing on what is important and valuable to you and cutting out what is unnecessary you will find greater fulfillment and enjoyment! Instead of sifting through hundreds of pictures, you'll be able to locate a select few high quality photos of memorable times. And instead of scrolling through countless, useless emails you'll be able to consume life enhancing content and find important messages faster. By being intentional with all of you methods and subscriptions in the digital world, you will most certainly be better off! How do you feel about your digital life? What areas are you looking to improve upon? Let me know how I can help you! Check out the rest of the posts in the series here!